Horray, my favourite month is almost here! To me, autumn is probably the best time of the year. Everything is colorful, it’s cosy to be inside but there’s still some warm days, I love it. Fresh apples, tea, sweaters, scarves, cardigans and books – bring it on! While September was all about taking it slow, reducing and cleaning up, in October I’m ready for full on autumn. There are so many gorgeous trails around where I live and this is the time to visit them before winter rolls around. I really loved being outside so much on the Isle of Jersey, so I am ready to put on my hiking boots again. There’s something so cosy and relaxed about baking your own bread, isn’t there? I’ve got a few recipes bookmarked and I’m looking forward to slow autumn mornings with a fresh loaf of bread in the oven (and that heavenly scent!). Same on that. Is there anything more cosy than listening to podcasts and the rain outside while crumble is baking in the oven? And your whole place smells absolutely amazing? I truly can’t wait for afternoons with my wool socks, fresh crumble and a hot cup of coffee. I have gotten a lot better at this over the last few months, but there’s still room to grow. No multi-screening, just sitting down for meals with no distractions, sometimes just sitting and thinking. This is so helpful for a clear mind and something I want to truly practice this October. There you have it! 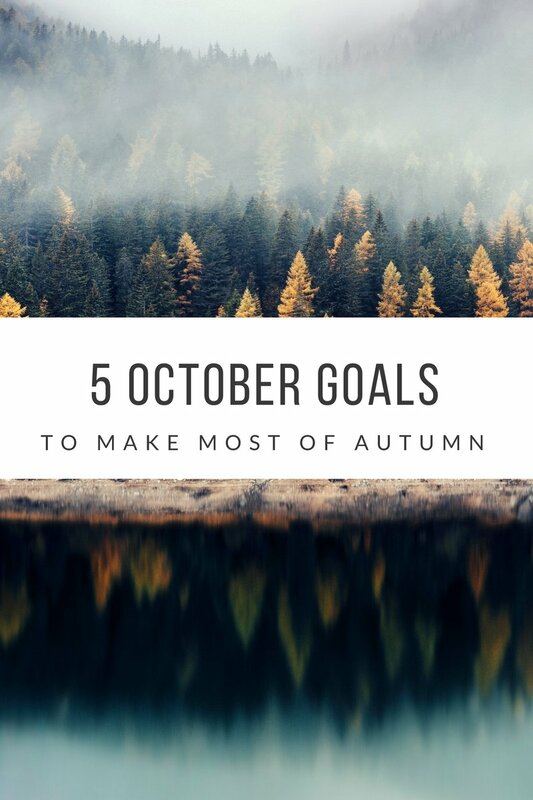 This month, my goals aren’t actually achievements or to do’s, but more ideas how to make the most of the season. What about you? What are your favourite autumn traditions?